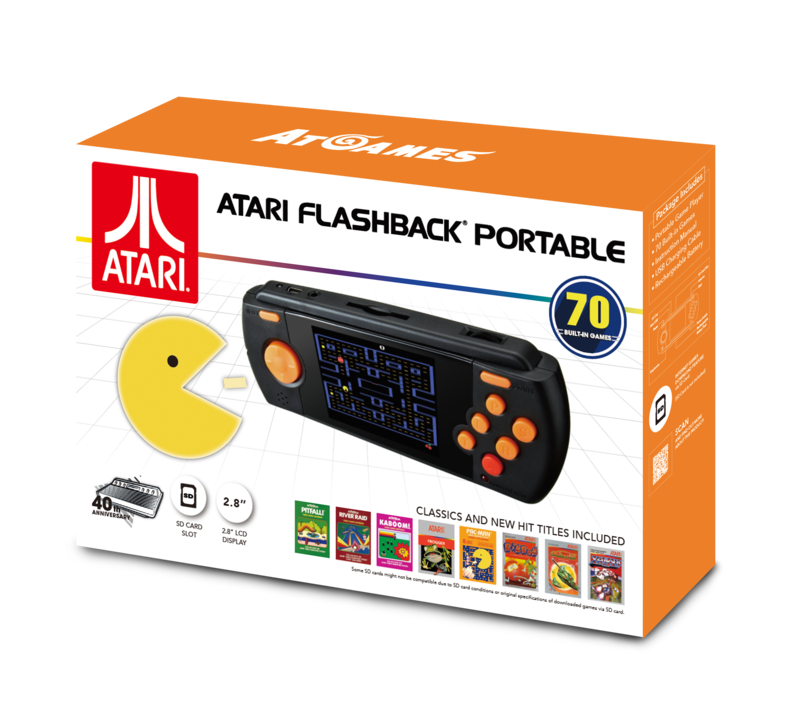 Atari Flashback® Portable 2.8” LCD game player with 70 classic Atari 2600 games built-in. Includes legendary BANDAI NAMCO Entertainment arcade hit, PAC-MAN. Other blockbuster games include Dig Dug ™, Pitfall! ™, and Frogger ™. A built-in rechargeable battery means the on-the-go fun never ends. Includes SD card slot for more games download (SD card not included). Plug and play on your TV (via optional AV cable, not included). Comes with USB charging cable. Comes with USB charging cable.